Join cast members of the hit TV show 'Whose Line is it Anyway?' 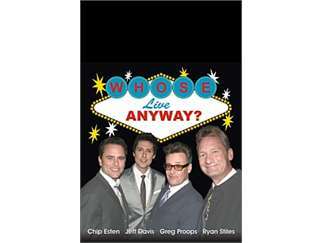 with Seattle's Ryan Stiles ('Whose Line Is It Anyway,' 'Drew Carey' and 'Two and a Half Men') plus Greg Proops (True Jackson-VP), Joel Murray and Jeff Davis ('Whose Line') for a night of unforgettable improv comedy and song that will leave you laughing days later. Bring your suggestions for the show and you might be asked to join the cast on stage.